SPOILER ALERT! : The Lone Ranger will be coming to cinemas in the summer of 2013. The following article will discuss plot elements from the movie. If you prefer to see these elements when the film comes out, please feel free to skip this article and go OTRCat’s Lone Ranger Page to enjoy 1,365 original Lone Ranger radio episodes. are looking forward to this summer’s release of The Lone Ranger with understandably mixed feelings. The film will pay homage to one of OTR’s great characters. However, the movie is a pet project of Johnny Depp and the writers, producer and director of the original Pirates of the Caribbean movie. How the people who brought us Captain Jack Sparrow present Tonto and the Lone Ranger will be interesting, to say the least. The Lone Ranger first appeared on the radio in 1933, making him the first Superhero. Superman is generally given the title of first Superhero, but he did not appear in the comics until 1938. It might be argued that the Lone Ranger is not a Superhero; rather, he fits the definition of Costumed Crime Fighter, a classification he shares with Batman, who first appeared in 1939. 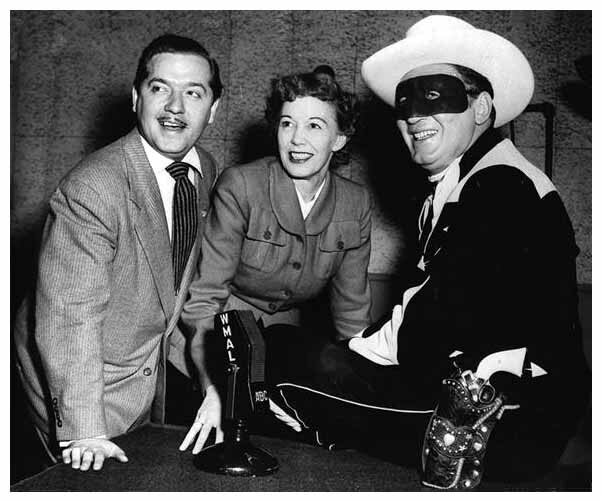 In the early 1930’s, radio station owner George W. Trendle and writer Fran Striker developed the idea of a cowboy hero with the qualities of Robin Hood or Zorro, both popular swashbuckling heroes in the movies at the time. Because the show was intended for kids, the character had to have an extraordinarily strong moral code. The backstory of the Lone Ranger was that he was part of a posse led by his Texas Ranger brother. An outlaw gang led by Butch Cavendish ambushes the six men and leave them for dead. Ranger Reid (his first name is never given in the radio series) is the only survivor, and he is nursed back to health by a trusty Indian scout named Tonto, who becomes the Ranger’s most trusted companion. From information gleaned from the previews, this is an area where the up coming movie departs from the original story. John Reid is an attorney who was educated in the East and returns to his dusty Western hometown with big city notions of Law and Order. This does not sit well with his older brother Dan, a rough and tumble Texas Ranger like their father. John witnesses the escape of a well known badman, Butch Cavendish, and volunteers to join Dan’s posse to bring him back in. The Cavendish gang ambushes the posse, leaving them for dead and not realizing that John survives. To this point, the movie seems to be a retelling of the original story with details added for color. Tonto, however, is more than just a scout. He is a Comanche shaman who is pursuing Cavendish for his own reasons. In both the new movie and on radio, Tonto convinces the Ranger that because the world believes he is dead, he can be more effective as a crime fighter if he keeps his identity a secret. Tonto fashions a mask from Reid’s dead brother’s vest. One of the Lone Ranger’s most unique trademarks was his silver bullets. If someone in the Old West received a message from the Lone Ranger that was accompanied by a silver bullet, they were assured the message was genuine. The Lone Ranger inherited Dan Reid’s secret silver mine, which was the source of the bullets. The mine also afforded the Ranger and Tonto the financial means to spend their life pursuing bad guys. The silver bullets are said to remind the Ranger that life is precious and that there is a cost every time a trigger is pulled. In the movie, the silver bullets will take on a new, “practical” meaning. Tonto is after the evil Cavendish because he believes him to be a mythical Wendigo. The Wendigo is a creature from native American legends. The creature was cannibalistic spirit the could possess human form. Tonto knows that, in the best tradition of werewolves and vampires, the Wendigo can be defeated by a silver bullet. To be completely fair, the new movie draws its inspiration from the TV show starring Clayton Moore and Jay Silverheels rather than the radio program. 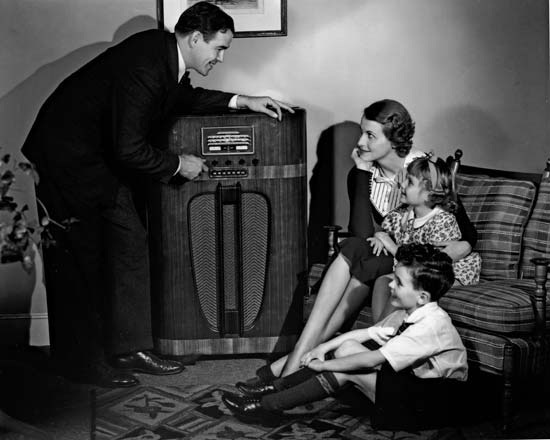 The TV show was a direct take off from the radio show, but there were some changes made for the small screen. The real importance is the integrity of the characters and their values. It will be amusing to see how Depp and Company accomplish that part of the mission. This entry was posted in Batman, Western. Bookmark the permalink.